So, there’s birthday treat 1, 2 and 3. I’ve blogged about (surprise) birthday treat 3 and this is birthday treat 2. Haha Yes, I've finally blogged about the first one! 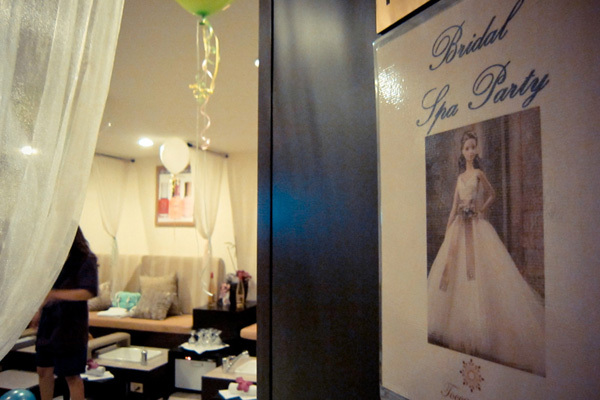 I first stepped onto the vicinity of Toccare Spa last June for Kabbie’s bridal shower. It was organized by her friends so I didn’t know anything about the place. I’m not a big spa or massage person so it really isn’t my department. I didn’t have a lot of expectations going there. Exclusive use of the foot spa lounge for 3hours. The whole package was for P9,500. We paid corkage for the pica-pica and wine we brought in. 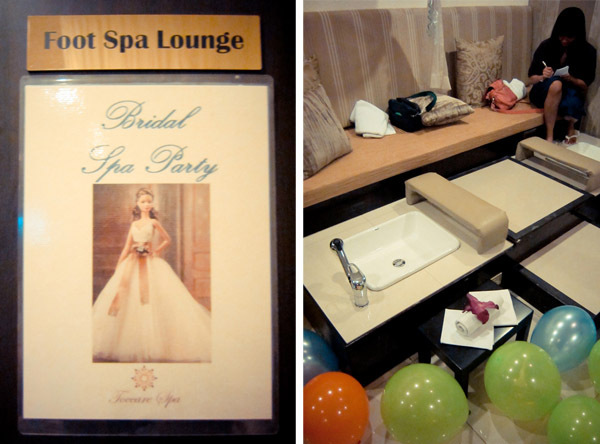 The whole evening was fantastic; we all felt refreshed and pampered after the party. Use of facilities like steam, sauna, Jacuzzi, shower and locker room. We booked an appointment for a Saturday and it was perfect timing after an extremely busy work week. We were offered a welcome drink (ice tea, coffee, hot tea or water) while we enjoyed the jacuzzi. 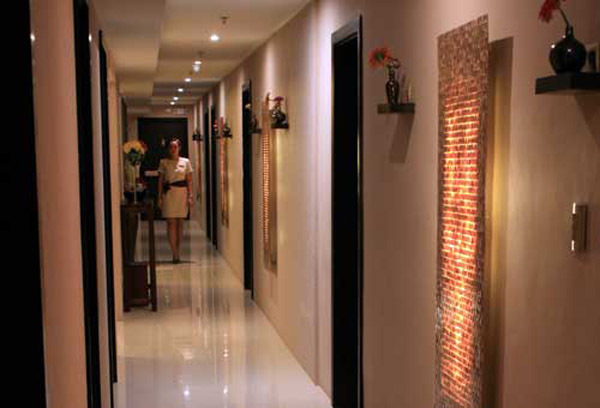 We were then ushered to the treatment room for our body scrub. The room was perfect for us because it could accommodate 2 people only. You can choose between a salt or a cream scrub for your treatment. The salt scrub is recommended for first timers while the cream scrub is recommended for people who have experienced it before. 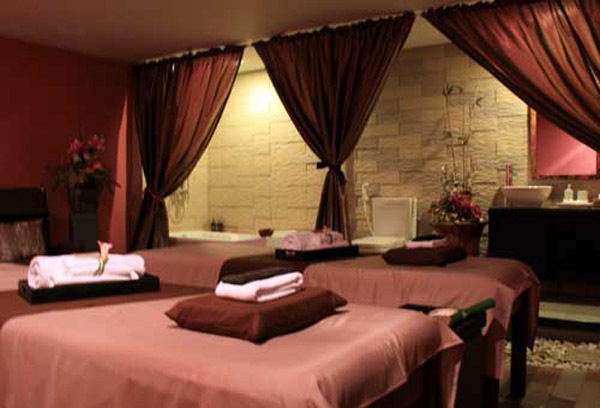 Our last treatment was the classic massage at the massage room which can accommodate 6 people. Even though we weren’t the only ones in the room, it still felt comfortable. I don’t have a lot of photos but I do have good words about the spa. Let’s start with the facilities. All the areas we went to were spotless and felt fresh. I was never grossed out by anything in the Spa. The spa provides you with the essentials like a proper robe, shorts, towel, slippers and even a plastic bag for your swimsuit. There’s even a blow dryer in the women’s locker room. 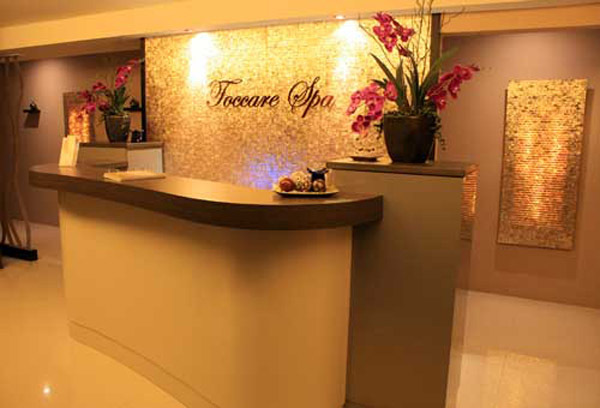 Toccare Spa’s ambiance is consistently calming. The music, scent and even interior design all contribute to the service you are about to encounter. Another great thing about them is their service. I felt so spoiled and taken care of the whole time I had my treatment. 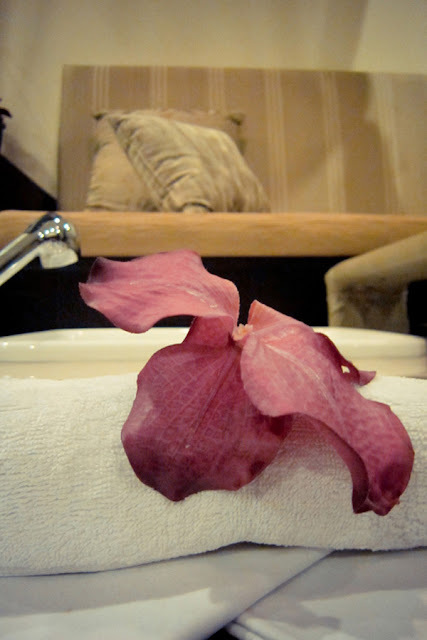 From the moment you come in until the service ends, you are pampered. When we entered the locker and shower room, an attendant was present to assist us. The whole experience was stress free. The therapists treat you with kindness and I could really feel that they gave a premium to respecting our privacy. I understand why people splurge on spas and massages. As they say, you get what you pay for and at Toccare Spa isn’t your money is worth it. 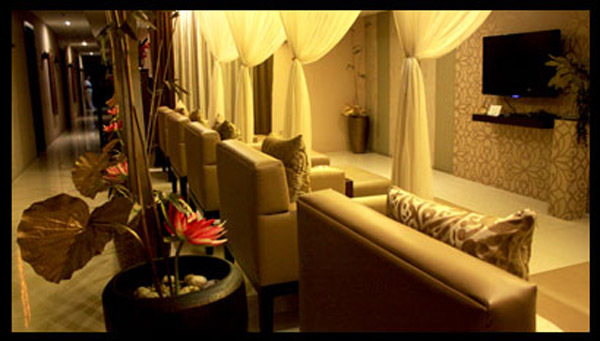 * Additional photos from Cosmo and Toccare Spa.